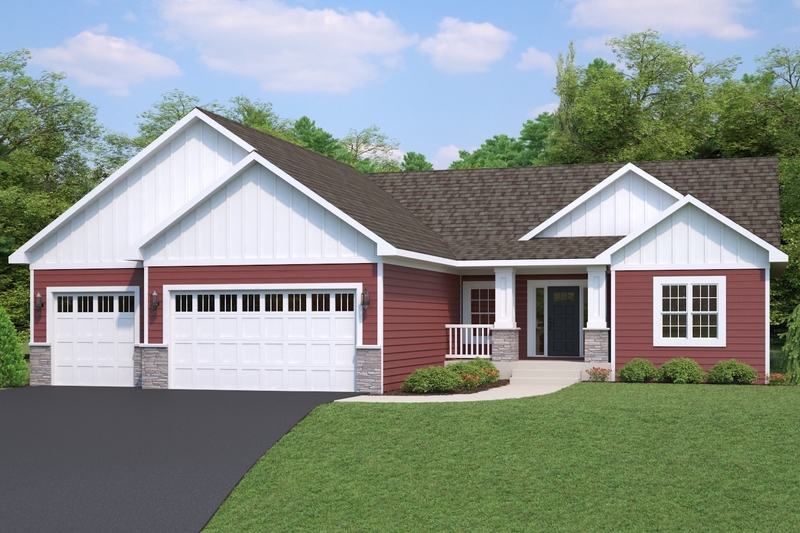 Located in the coveted Augusta Prairie development, our popular Uppsala rambler plan boasts four bedrooms and three bathrooms along with 3,300 sq. ft. of gorgeous one-level living. Traditionally styled, this home features a plethora of hardworking finishes designed for longevity, including an all-Hardie exterior, quartz countertops throughout, an abundance of natural woodwork, a stone fireplace, elegant open staircase, chef’s kitchen with high-end appliances, ample walk-in pantry, a cozy four-season porch, and a lower-level wet bar perfect for entertaining. Make this stunning home the first stop on your Parade of Homes tour! Stop in and talk to one of our agents about this great development!